Just discovered through an article on the Economist (its articles aren't always useless) the Tunisian cartoonist Z. 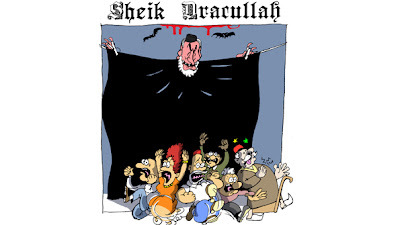 Here is a cracking cartoon of Rachid El-Ghannouchi: Sheikh Dracullah! Follow Litt DZ on FB for more news on Algerian literature.